What is “use or lose” annual leave and what does a government shutdown have to do with this type of leave? As with many complex systems, the government’s human resources program is complex as new and ever-expanding rules emerge to try to prevent problems. A federal employee’s leave year begins the first day of the first full biweekly pay period at the start of a calendar year. The leave year ends on the day before the first day of the first full biweekly pay period for the new calendar year. What If Excess Leave is Not Used? What if a federal employee does not use all available annual leave during a year? This is probably more of an issue for longer-term employees because they earn more leave each year. There are restrictions on how much leave can be carried into the new year. Employees are allowed to carry over a maximum amount of accrued annual leave to the next leave year. This limitation is 240 hours for most employees. “Use or lose” annual leave is a term that refers to the maximum amount of accrued annual leave that can be carried into the next leave year. In other words, a federal employee has to “use” this excess annual leave by the end of a leave year. If it is not used, the employee loses the leave; it just goes away. A major reason for this restriction is to encourage an employee to use leave and stay away from work while taking a vacation or any number of other reasons. Also, if an employee has accrued a large amount of leave and wants to take all of it, the agency is without the services of that employee for a considerable time and that could impact accomplishing the work of the agency. An agency is allowed to consider restoring annual leave that was forfeited due to an “exigency of the public business” or sickness of the employee. This can only be done if the annual leave was approved and scheduled in writing. And, for anyone who is in this position, get a calendar and look at it closely. This use or lose leave has to be approved in writing before the start of the third biweekly pay period before the end of the leave year. A word to the wise: If you are not sure of the date this has to be done, contact your agency to verify the beginning and ending dates for using use or lose leave in a particular leave year. It is not up to the supervisor or the human resources office to do this for you. It is up to each individual employee. Some readers may be wondering how “use or lose” leave is impacted by a government shutdown. It is somewhat unusual that a government shutdown occurs late in the calendar year. But, as we know from 2018, it can happen. It happened late in 1995 when a shutdown started on December 16th and extended until January 6, 1996. More recently, the government shutdown from December 22, 2018 – January 25, 2019. So, based on the criteria outlined above, the last day to schedule “use or lose” annual leave was November 24, 2018. OPM and the Office of Management and Budget (OMB) made the decision, in guidance issued prior to the lapse, that a lapse in appropriations is an “exigency of the public business” for purposes of annual leave restoration. In effect, OPM was advising agencies that an employee had to have scheduled the leave “before the start of the third biweekly pay period prior to the end of the leave year” in order to have the leave restored. Stated differently, if an employee had use or lose leave and had not scheduled it for use by November 24, 2018, the “use or lose” leave would be forfeited and not available to the employee to use. [A]s long as the leave was properly scheduled in advance, agencies must restore any annual leave that was forfeited because of the lapse in appropriations—regardless of whether the affected employees were furloughed or excepted from the furlough. 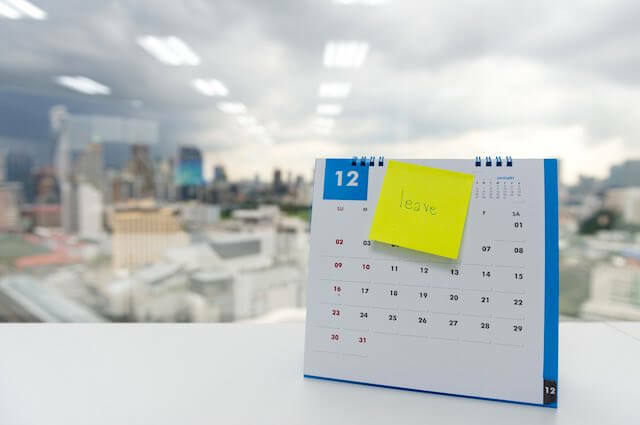 For employees on the standard biweekly pay period cycle, the annual leave ceiling is applied on January 5, 2019, which was the end of the 2018 leave year. In order for forfeited annual leave to beconsidered for restoration…it must have been scheduled in writing no later than November 24, 2018…. Employing agencies are responsible for determining whether an employee met the advance scheduling requirement, based on OPM regulations and agency policies and procedures. As allowed by those agency policies and procedures,the “in writing” requirement may be met in various ways, including electronic communications such asemail, electronic calendar scheduling, or submissions to a time and attendance system. With a large number of federal employees impacted by the shutdown, there are some federal employees who had “use or lose” leave and it was not scheduled and approved in writing by November 24th. As far as OPM and OMB are concerned, the relevant regulations require, as usual, that the leave is forfeited if it was not scheduled. To the relief of those employees who were carefully following the government’s rules, and had this leave already scheduled by November 24, 2018, their leave will be or has been restored based on the guidance from OPM and OMB. Some employees are not happy because they are losing this leave because it had not been scheduled in advance as required by OPM. We have no idea how many employees were impacted, but several readers have emailed us complaining about losing annual leave. The assumption of these employees is that their leave would have been approved and they would have taken the leave, presumably over the Christmas holiday season, if the government had not shut down starting on December 22nd. One possibility is nothing will happen. OPM has issued guidance and agencies are implementing the guidance. The employees who had not had leave approved by November 24th, as was the case in a normal year, will be out of luck and employees who had not scheduled the leave have lost it. On the other hand, litigation is part of the American work scene, so it is possible, or even likely, a lawsuit from an individual or a class action will be filed. It is also possible someone will ask the Merit Systems Protection Board (MSPB) for a regulatory review. Chances are, this issue will go on for some time. Stay tuned for the final result.